Archroma, a global leader in colour and specialty chemicals, recently announced that Tong Siang Co. Ltd. has chosen to use Archroma’s Ultraphor® KCB optical brightening agent to colour its white, high-performance sportswear. Thailand- based Tong Siang, a member of the Yeh Group, is making these products using what is considered by the industry as the world’s first water-free and process chemical-free dyeing solution. The technology in question is based on carbon dioxide instead of water, and was developed and patented by Dutch process engineering company DyeCoo Textile Systems B.V. Textiles produced by Tong Siang, using this technology, are branded as DryDye® fabrics. When pressurised, CO₂ becomes “supercritical” (SC-CO₂), a phase between a liquid and a gas. In this state, CO₂ has a very high solvent power, allowing the dye to dissolve and be transported easily and deeply into fibres, creating bright whites and vibrant colours. The CO₂ is reclaimed from existing industrial processes, recycling 95 per cent of it in a closed-loop system. The technology uses 100 per cent pure dyes with more than 98 per cent uptake, and uses no process chemicals and no water, and produces no waste water. With increased scrutiny by consumers and environmentalists alike, textile manufacturers are eagerly seeking new, sustainable dyeing techniques that do not harm the environment. Archroma’s range of optical brightening agents (OBAs) for polyester – the Ultraphor® series – is a perfect solution to meet this need. 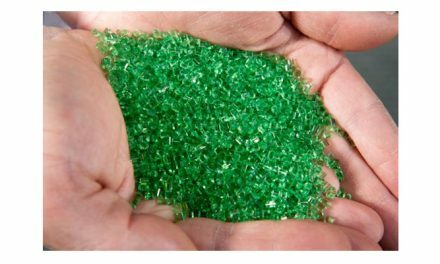 Tong Siang has extensively tested Ultraphor® and is successfully using it in bulk production, with the resulting products meeting Tong Siang’s customers’ demanding needs related to colour, performance and environmental friendliness. Ultraphor® KCB represents Archroma’s first entry into the CO₂ dyeing field, and the company is looking to introduce further coloration and finishing effects in the future.